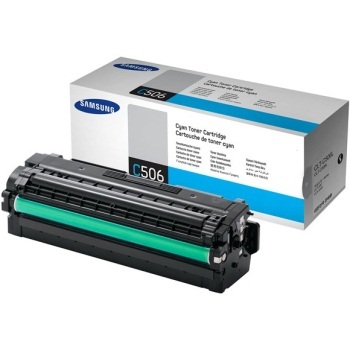 Create your own color toner pack / bundle for your Samsung CLP-680ND with our flexible quantity discount pricing. Mix and match products so you are only purchasing what you need, but also maximizing your savings. Remanufactured Cyan Toner Cartridge with 3,500 high capacity page yield. Equivalent to Samsung part number(s): CLT-C506L, SU042A. Fits the following model(s): Samsung CLP-680, Samsung CLP-680ND. Remanufactured Magenta Toner Cartridge with 3,500 high capacity page yield. Equivalent to Samsung part number(s): CLT-M506L, SU309A. Fits the following model(s): Samsung CLP-680, Samsung CLP-680ND. Remanufactured Yellow Toner Cartridge with 3,500 high capacity page yield. 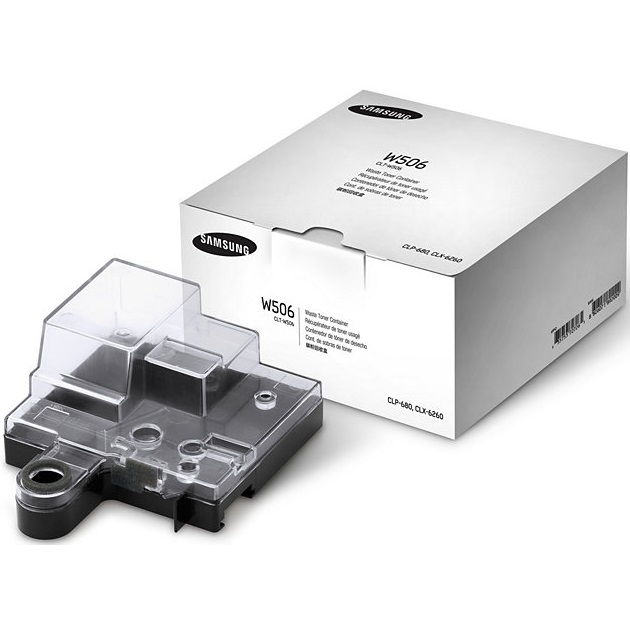 Equivalent to Samsung part number(s): CLT-Y506L, SU519A. Fits the following model(s): Samsung CLP-680, Samsung CLP-680ND. Remanufactured Black Toner Cartridge with 6,000 high capacity page yield. Equivalent to Samsung part number(s): CLT-K506L, SU175A. Fits the following model(s): Samsung CLP-680, Samsung CLP-680ND. Buy our high quality compatible toner for Samsung CLP-680ND with confidence. Join thousands of happy customers who have found our compatible products are equivalent in page yield and print quality. For our compatible products, we offer a 100% Satisfaction Guarantee allowing you to return products within 6 months if you are unsatisfied. 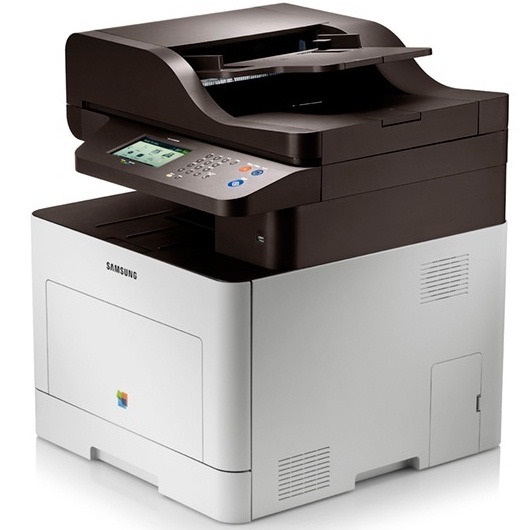 The Samsung CLP-680ND and the CLP-680 are a series of color laser printers with relatively basic features, with the former model expanding slightly to include network connectivity and the ability to print double-sided on paper. For its class of similarly priced units, the CLP-680ND is moderately quick with speeds of up to 25 pages per minute for both monochrome and color projects. Buyers looking for a low-cost workgroup printer that includes a decent range of features and adequate speeds will benefit from the CLP-680ND. With a maximum monthly duty cycle of up to 60,000 pages and the option to upgrade the standard RAM of 256 MB to maximum of 512 MB, this device should be able to support workgroups with medium to large print volumes. The unit's media handling is likewise expandable, with the standard input of 300 pages increasing to a maximum of 820 pages with optional paper trays. 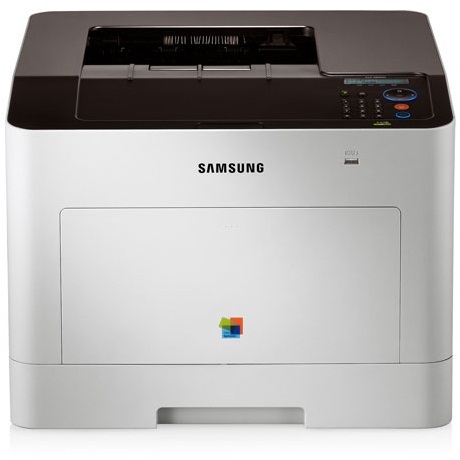 The machine has a basic design for user-friendly control, including a front panel that has navigation buttons for menus, LEDs for alerts on Samsung CLP-680ND printer toner levels and a two-line monochrome LCD. With its size of only 16x17x12 inches, the device should fit comfortably on a desktop. The unit uses polymerized toners that use smaller, more uniform particles for exact detail and precision with a maximum resolution of 9600x600 dpi. Projects such as graphics and photos can print with enough quality to suit internal distribution, and text is detailed enough for important business documents. The device uses four separate black, yellow, magenta and cyan Samsung CLP-680ND toner cartridges. Each color supply can yield up to 3,500 pages, while the black Samsung CLP-680ND toner cartridge can last a maximum of 6,000 pages. The CLP-680ND offers both an enhanced set of features from its base model, as well as the ability to upgrade elements such as paper handling and memory. For a laser printer that can offer such a great design for its low price tag, it is an affordable solution for medium-size workgroups.